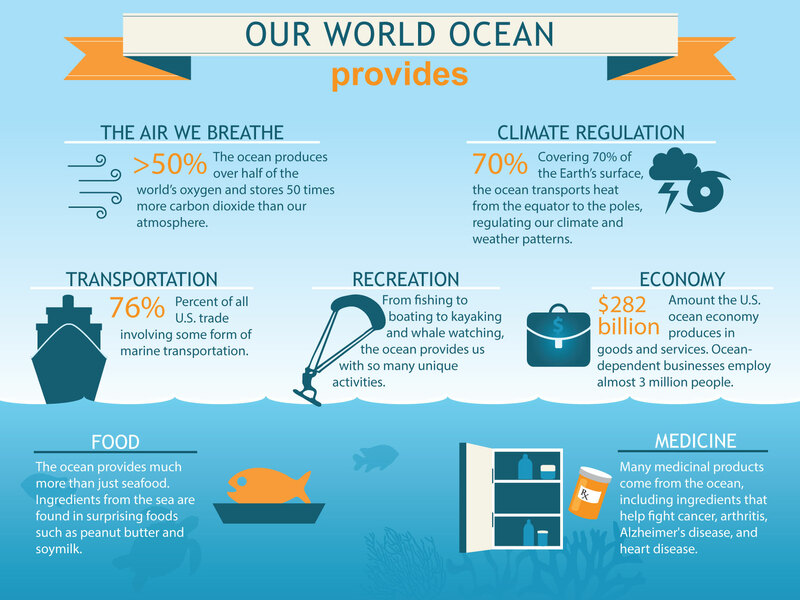 The oceans are the lifeblood of humankind, literally. They provide the world with over 50% of its oxygen, enable global trading of goods and services, and provide habitat for innumerable species. This year, the theme of World Oceans Day is preventing plastic pollution in our oceans and encouraging solutions to promote healthier oceans. Plastic pollution exists as meso- and macroplastic, or large plastic items such as cellophane wrap, food wrappers, lighters, and synthetic fabrics, and microplastics, which are the breakdown product of larger plastic items. The 2018 "Foresight Future of the Sea" reports that plastic pollution is expected to triple from 2015 to 2025. In 2014, Eriksen et al. estimated 233,400 tons of meso- and macroplastics and 35,540 tons of microplastics were afloat on the ocean surface, which was only 0.1% of the world's plastic production in 2014. Microplastics, the most recently discovered form of plastic pollution, continue to be difficult to characterize and study. Learn how Bigelow Laboratory, the Marine and Environmental Research Institute, and the Alfred Wegener Institute are using the FlowCam to study microplastics. 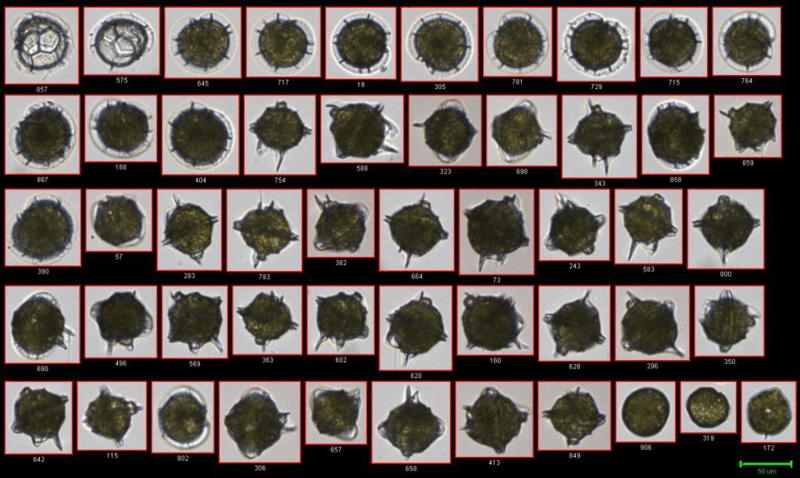 The FlowCam has been used to image a great number of aquatic microorganisms including phytoplankton, zooplankton, cyanobacteria, and more. 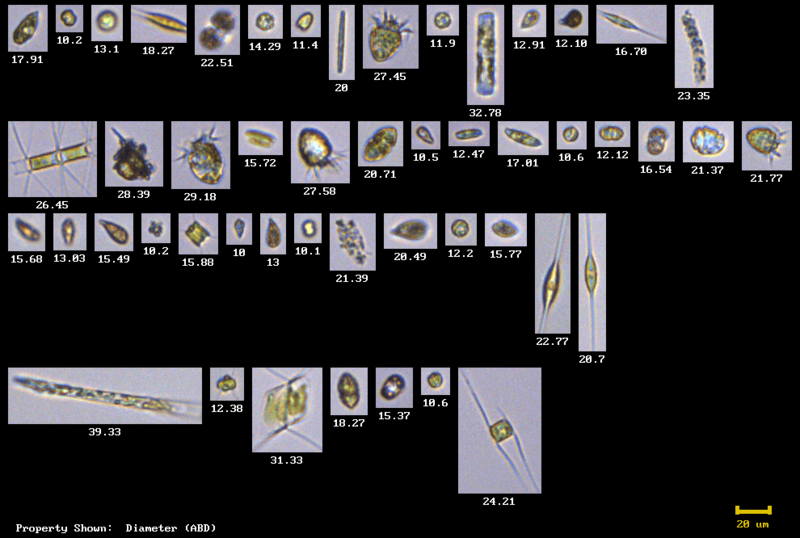 Plankton serve as the basis of many aquatic food chains. In honor of World Oceans Day, we'd like to share with you some of the diverse plankton communities we've seen from the five oceans of the world: the Atlantic, Indian, Pacific, Arctic, and Southern Ocean. The Southern Ocean, proposed as the fifth ocean to the International Hydrographic Organization in 2000, has yet to be ratified. Regardless of how you divide it, the 321 million cubic miles of water in the world ocean is habitat to an impressive diversity of microscopic aquatic organisms, as shown below. Above: From the Northern Pacific, plankton collected from Busan Harbor, South Korea. Above: From the Southern Pacific Ocean, Zooplankton from Hawai'i (photo courtesy of Hawai'i Institute of Marine Biology). Above: From the Northern Atlantic Ocean, plankton community collected off the coast of Isle au Haut, Maine. Above: From (just north of the) Southern Atlantic, Pyrodinium bahamense from the Bahamas. Above: From the Southern Ocean, a plankton community collected on a Woods Hole Oceanographic Institute research cruise around Antarctica. 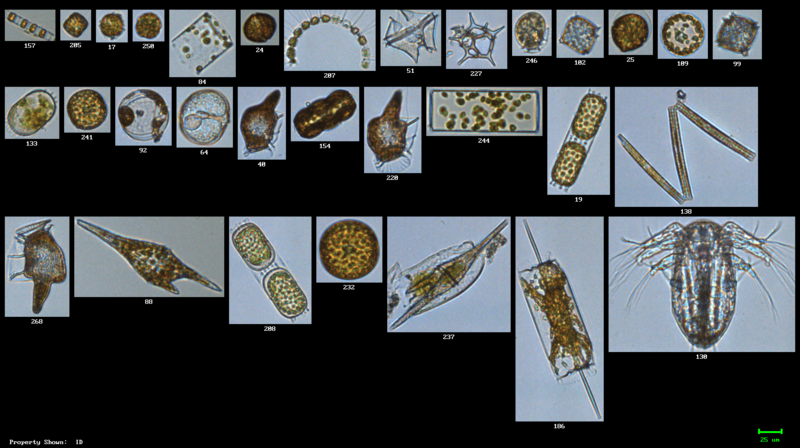 Above: From the Arctic Ocean, plankton from the Chukchi Sea collected during this WHOI study of the Western Beaufort Sea (photo courtesy of Kate Lowry, Woods Hole Oceanographic Institute). 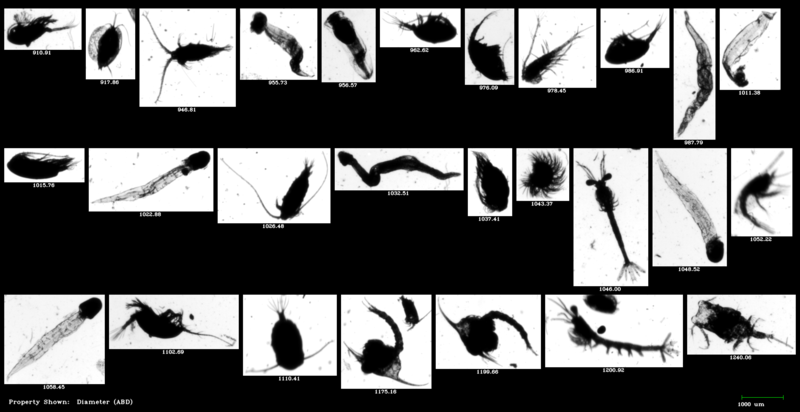 From the Indian Ocean: Zooplankton from Zanzibar, collected during this study on the dynamics of the Zanzibar Channel. Learn how you can help protect our oceans and prevent plastic pollution from entering into the habitat of our aquatic ecosystems. "How many oceans are there?" NOAA <https://oceanservice.noaa.gov/facts/howmanyoceans.html>. "How many species live in the ocean?" NOAA <https://oceanservice.noaa.gov/facts/ocean-species.html>. Eriksen, M., Lebreton, L.C.M, Carson, H.S., Thiel, M., Moore, C.J., Borerro, J.C., Galgani, F., Ryan, P.G., and J. Reisser (2014) "Plastic Pollution in the World's Oceans: More than 5 Trillion Plastic Pieces Weighing over 250,000 Tons Afloat at Sea" PLOS One, doi: 10.1371/journal.pone.0111913. "Foresight Future of the Sea: A Report from the Government Chief Scientific Adviser" (2018) Government Office for Science, United Kingdom <https://www.gov.uk/government/publications/future-of-the-sea--2>.